The dental care and support team at Sarasota Dentistry is exceptional. They are highly trained, experienced, and prepared to meet your dental needs. The team regularly participates in continuing dental education along with Dr. Michael and are always learning about the latest dental technology. When you add in their passion for great dental care, you have a winning team. No matter your dental treatment – preventative care, Invisalign, teeth whitening, dental crowns, implants, or more – our team is happy to help. Thanks to them, Sarasota Dentistry is one of the best dental offices, in Sarasota, Florida. Sophia moved to Sarasota in 2013 from Honolulu, Hawaii, and has been a dental assistant since 2007. She feels her biggest pleasure comes from helping patients improve their smiles, thus helping them improve their self esteem and confidence. In the end, she loves working with her hands and seeing the resulting brilliant smiles. Sophia's own family is her primary joy in her life: her husband and daughters - all of whom keep her very busy when she is not at work! You can be sure you are in very capable hands with Sophia. Ena, the wife of Dr. Michael, is a native to Sarasota, FL. Ena's first love (well aside from her daddy) is mathematics. If you don't believe us, just stop by her office randomly. You will probably find her reading a math journal or working on a proof that she just can't seem to get perfect. Ena can connect anything to mathematics, even dentistry! Ena earned a Bachelor's degree in Mathematics with honors from Georgia Southern University and a Master's degree in Pure Mathematics from the University of South Florida. Prior to joining the team at Sarasota Dentistry, Ena was honored to hold a professor of mathematics position at the local community college, SCF, for more than 10 years. While at SCF, she served as not only a professor of mathematics, but also served three years as the chair of the mathematics department. Saying goodbye to her students in the classroom and her co-workers in the math department was one of the hardest moments in her life, but she realized that she could no longer "do it all". Ena is now devoting her time to raising four beautiful children and helping Dr. Michael lead Sarasota Dentistry into the future. Ena has a passion for life-long learning, mathematics, and leadership. In addition to her mathematical expertise, she brings over four years of post-graduate leadership coursework and experience to the office. Ena is committed to creating a team where each individual is allowed to let their strengths shine. While many scholars would probably classify Ena's leadership style as transformational (especially in the field of dentistry), she would be the first to tell you that she incorporates principles that she has learned from situational leadership, servant-based leadership, and transformational leadership into her everyday bag of tools that she brings to the office. 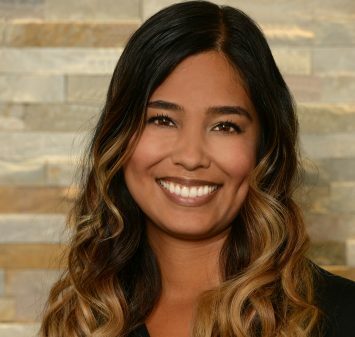 Ena's academic experience combined with her love of family make her a perfect fit to lead our team, at Sarasota Dentistry, to the next level of excellent patient centered care. If you ever have a complaint (or a math problem you are just itching to resolve), please do not hesitate to bring it to her attention. Jamie grew up in Sarasota and has been in the dental field since 1995. She loves helping others look and feel their best. Jamie's passion for health goes far beyond that of your smile. Jamie also has many physical fitness certifications and even worked as a personal trainer while her children were small. 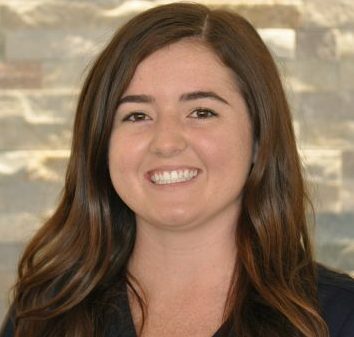 Combining her dental experience and her holistic total body knowledge, she is a true cheerleader for our patients' overall well-being. Jamie has unique experience in helping people not only improve their smiles, but also helping them get their body in shape! Jamie would say, "I've got you covered from head to toe" and mean it both literally and figuratively! 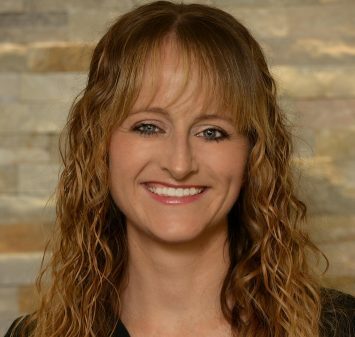 When not working in the dental office, Jamie enjoys running, cycling, and boating with her family. Jamie enjoys her life out in the country with her husband and two children. Needless to say Jamie's positive and gentle demeanor will make you feel right at home. When you visit the office be sure to ask Jamie about all of her "pet" experiences. She has a few amazing stories to share with you from raising rabbits to taming steers! Karen is the anchor of our team, she has been in the office since 1999, 2 years before Dr. Michael transitioned into the practice. 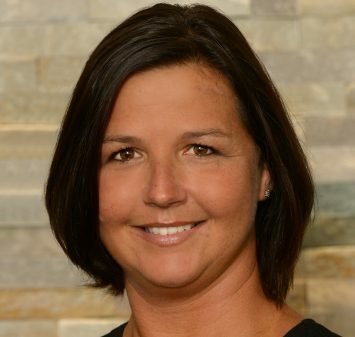 Karen is from Ann Arbor, Michigan where she began her dental career as a dental assistant. 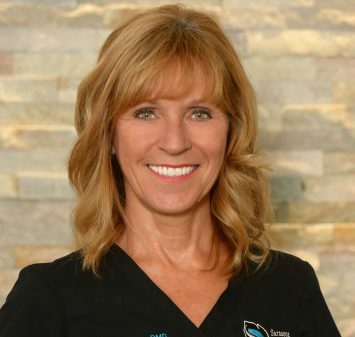 After moving to Siesta Key in 1987, she returned to school at St. Pete Community College and became a Registered Dental Hygienist. Her 20 years of experience and wonderful personality make getting your teeth cleaned a painless and pleasant experience. Michelle joined the Sarasota Dentistry team in January 2011. She was born and raised in Sarasota, FL. She has two beautiful girls - a 4 year old daughter named Delia and a 1 year old named Scarlett. Michelle loves to scrapbook and do anything crafty. She graduated from Manatee high school and went to college for her massage therapy license. Michelle decided that massage wasn't for her and went a different route. She started in the office as the patient coordinator and is cross-trained in the back to be able to double as an assistant. She is our office coordinator. She loves to learn new things and develop relationships with our patients. You will always see Michelle with a smile on her face ready to give you the service you deserve. Eva started working with Dr. Michael when he first acquired the dental practice as a dental assistant. She decided she wanted to be a dental hygienist so she attended the State College of Florida's Dental Hygiene School. She is happy to return to the practice since she enjoyed many of the relationships with the patients. She also enjoys spending time with a family of her own. Jessica is a local to Venice, FL. She is new to the dental field as of 2017. The administrative experience she brought with her to Sarasota Dentistry, has made for a very successful transition. You will be happy to see her smiling face upon your arrival. 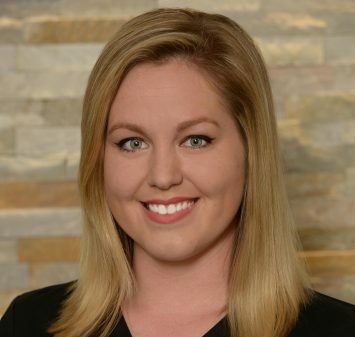 Corina was born and raised in San Diego, California and moved to Sarasota in 2016. Prior to starting her Dental Assisting career in 2015, Corina worked in the health and fitness industry. She has a passion for overall wellness and working with people. Corina's true passion is helping patients that feel anxiety or fear. 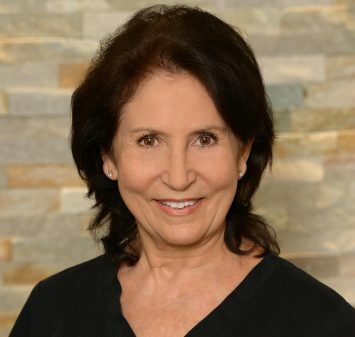 No matter how high the anxiety may be, Corina will do her best to make you feel right at home here at Sarasota Dentistry. 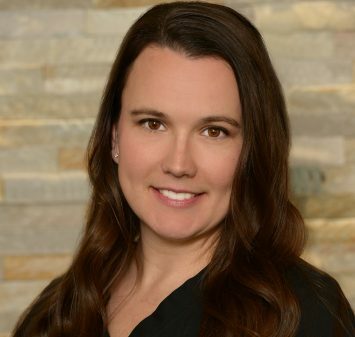 In fact, Corina recently elected to attend several hours of continuing education focused on learning how to best meet the needs of patients that have experienced trauma in the dental office. If there is one person on our team that exudes professionalism while maintaining a completely nurturing disposition - that is Corina! In her spare time, she enjoys spending time with her family, cooking, biking, camping, paddle boarding, singing and playing piano. When you come in be sure to ask her what she recently learned about treating patients with severe anxiety at the Florida Dental Convention. You will see her light up as she tells you stories that will probably bring a couple of tears to her eyes. Corina loves serving our patients and you can rest assured that you are in good hands when she greets you in the lobby for your appointment!